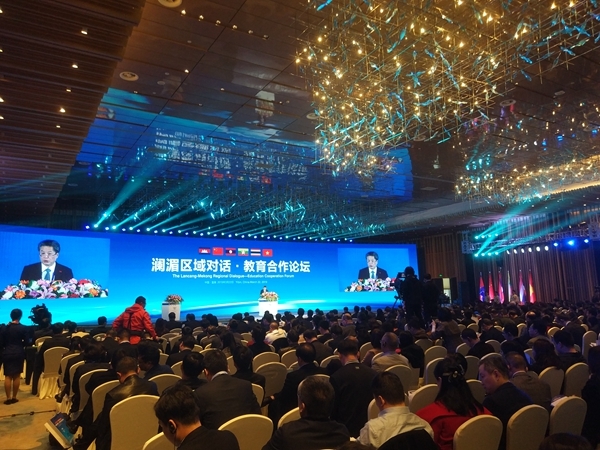 With the theme of “Nourished by One River, Win-win Achievements in New Era”, the Lancang-Mekong Regional Dialogue--Education Cooperation Forum kicked off in Yibin, Sichuan Province on 22 March 2019. More than 500 people including H.E. Mr. Korn Dabbaransi, Chairman of the Thai-Chinese Friendship Association and Former Vice Prime Minister of Thailand, H.E. Mr. Somsavat Lengsavad, Former Deputy Prime Minister of Lao PDR, Mr. Li Zhigong, Counsellor of the Department of Asian Affairs of Ministry of Foreign Affairs of China, Mr. Du Kewei, Director-General of China Centre for International People-to-People Exchange, Ministry of Education of China, Mr. Li Chunsheng, Deputy Secretary-General of China Education Association of International Exchange, Ms. Peng Yi, Deputy Director-General of the Department of Education of Sichuan Province, Mr. Lu Zhenhua, Chairperson of the Standing Committee of the Yibin Municipal People’s Congress, diplomatic envoys of Mekong countries to China and representatives of education institutions from the six countries along the Lancang-Mekong River attended the forum. Mr. Chen Dehai, Secretary-General of the ASEAN-China Centre (ACC), attended the forum and delivered remarks. Secretary-General Chen Dehai stated that education holds the key to the prosperity of nations, the well-being of people and the future of countries. 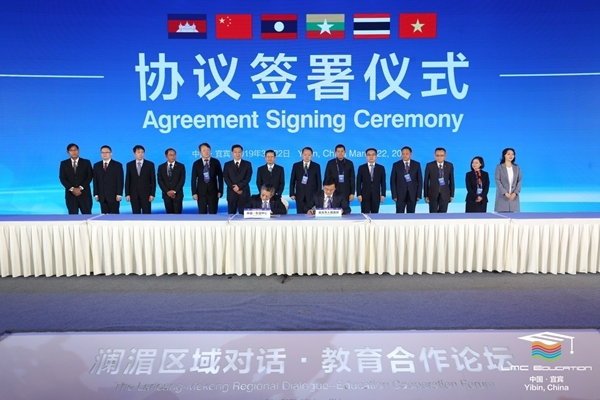 With concerted efforts and greater synergy between China’s Belt and Road Initiative and the development plans of countries along the route, education cooperation between the Mekong countries and China has been deepened, becoming a highlight in ASEAN-China friendly exchanges and cooperation. He said that ACC is willing to work with all relevant parties to continuously explore new paths for educational exchanges, so as to elevate educational cooperation to a new level and produce more fruitful results, thus making new contributions to the building of a closer community of Lancang-Mekong River countries and ASEAN-China community with a shared future. During the forum, Secretary-General Chen Dehai and Vice Mayor of Yibin City Chen Yangjie signed a Memorandum of Understanding for Cooperation between ACC and the Yibin Municipal People’s Government. The two sides are committed to jointly promoting exchanges between Yibin and ASEAN countries in the fields of trade, investment, education, culture, tourism, information and media, and making positive contributions to ASEAN-China practical cooperation. 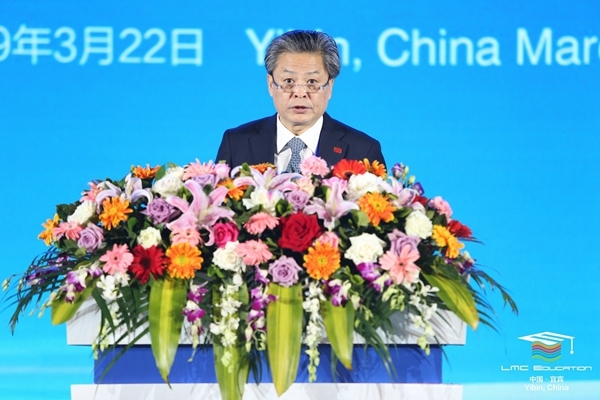 As one of the important side events of the 2019 Lancang-Mekong Regional Cooperation Week, the “Lancang-Mekong Regional Dialogue--Education Cooperation Forum” was co-hosted by the Yibin Municipal People’s Government, ASEAN-China Centre, the Department of Education of Sichuan Province, the Foreign Affairs Office of Sichuan Province, the CYLC Sichuan Provincial Committee and China Centre for International People-to-People Exchange of the Ministry of Education. During the forum, the education authorities and representatives of the six countries along the Lancang-Mekong River had discussions and exchanged views on the development and cooperation in the fields of higher education, vocational education and secondary education.